There has been much speculation (not to mention exaggeration), in recent years, about the fabled dark web and deciphering the terminology around what the dark web is or isn’t can be confusing. This less acceptable and more volatile corner of the internet, as we know it, does offer those with less honorable motives a secret marketplace for their wares. 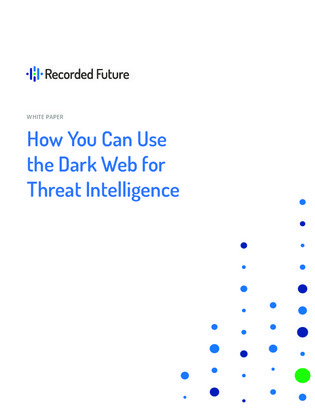 Learn how to better understand the dark web, the potential benefits of information gathered from these anonymous communities, and how it can be used to produce valuable threat intelligence.